The challenge for any business is consistently creating great customer experiences. The customer feels good, you contributed, and they think highly of you. Sounds like good business, right? However, loyalty to brands has changed. Consumers have so many options available to them that they can choose a competitor’s product or service fairly easily. When the experience doesn’t match the promise or their expectations, they now have a public way of letting you know. Even the top-selling books on Amazon, the best hotels, and the best airlines, have one-star reviews. So how do they stay on top? They recognise that they can’t be all things to all people. They focus on being the best for the right people. Even the top-selling books on Amazon, the best hotels, and the best airlines, have one-star reviews. You are likely in business to make a difference to people, solve problems and build a great lifestyle for yourself. But not everyone is going to love what you do. And that’s ok. These are not your people. Focus on your niche. Find your tribe. Don’t try to focus on everyone. If you are talking to everyone, you are not really talking to anyone. Find your people and engage them. They key to finding your people is understanding why you’re here. Your business has a purpose or brand promise, whether stated or not. That purpose or promise is (or should be) about the customer. You are solving some sort of problem, be it small or complex. A trucking company moving dirt is helping to build infrastructure, a university is changing society through its graduates and a superannuation company is safeguarding people’s retirement. Understanding your purpose or promise allows you to support the customer through their interactions with you. It provides a context for each interaction. So you need to ask yourself, what am I doing this for, and who am I doing it for? People don’t want what you sell; they want the way it will make them feel. Consider brands you know and love. Why do you purchase from them? Do they align with something you believe? Do they give you what you really want and make you feel a certain way? Buying a car, a phone, a flight or some shoes, all fulfill or create a feeling. The feeling of getting a bargain at Costco can be extremely satisfying. However it can be difficult to reconcile price as the basis for all buying decisions - just ask the person reaching for their Platinum credit card from their Chanel handbag! 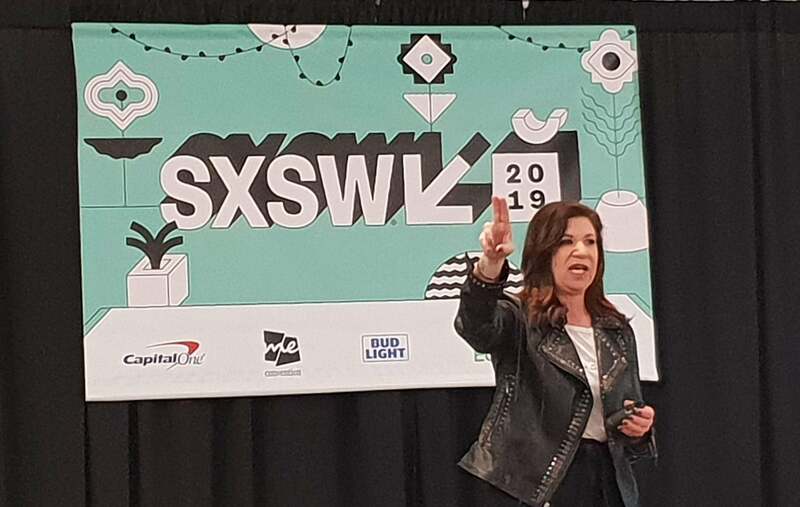 Author and marketer Deb Gabor prompted the audience to identify the essence of their brand at the recent SXSW Festival in Texas. Think about the stellar rise of Apple over the last decade. How can Apple charge so much for a phone? Here is an example of how Apple might answer the above statements. It goes some way to explaining why the company can charge the prices it does. Now, this is just a suggestion of how Apple might answer these questions. But consider people who use Apple. They may say that they buy the product because it is ‘better’ than a PC and/or because it has beauty. But when you ask them to look at their core motives, people will point to Apple being superior. A game changer. That Apple somehow changed the world and they are happy that they are part of that change. For many Apple fans, the brand makes them feel creative, respected or part of a movement. If you get it right, you then have the basis of an understanding of your audience and how to communicate with them. This allows them to align their purchase with the fundamental question people often unknowingly ask themselves when making a decision “Am I the kind of person who would buy this product?” (Author Seth Godin). We create stories that speak to what people believe. We create connections by focusing on what they want. Then, ultimately we create experiences that are engaging and provide this select group with what they want. 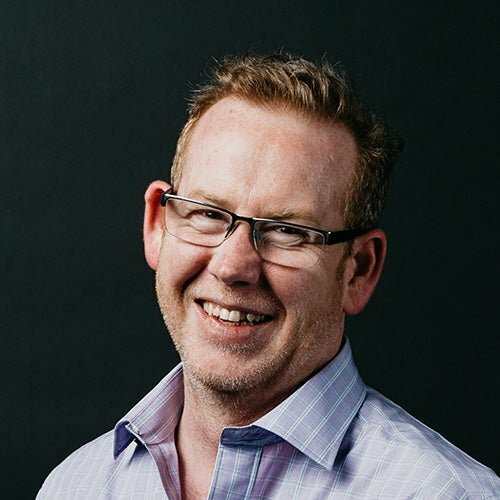 By doing this, you are likely to help them feel safe in their decision and respected by their peers (adapted from Seth Godin) – which is ultimately the hidden driver behind most purchasing decisions. The essence of this exercise, as Gabor concluded in her presentation at SXSW, is to build a brand that thrives: “Your brand is a magnet. Point it at your ideal customer!” For your business to be sustainable, there needs to be a minimum viable market who subscribe to what you do. If you find the customers who believe what you believe, the result is that you have a brand that is viable, can deliver on customer expectations, and ultimately creates brand loyalty. Fresh from his trip to SXSW in the US, Luminary CEO Marty Drill reports on the latest contribution to wearable tech from high-end headphone manufacturer, Bose.